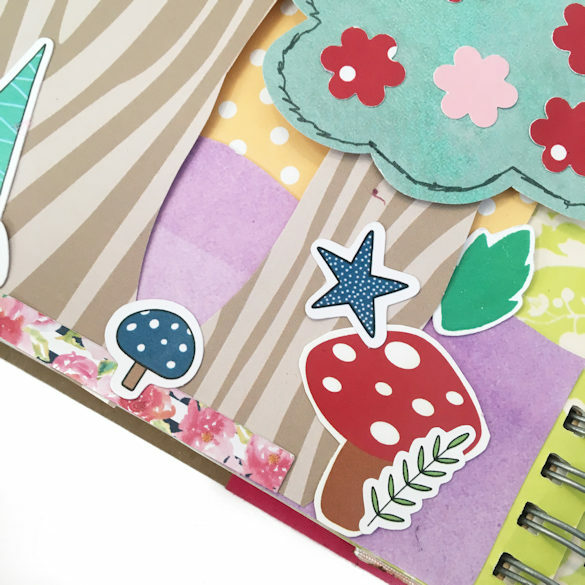 This week I’ve fell in love with smashbooking again, so this ‘Enchanted Forest’ box came at the perfect time. 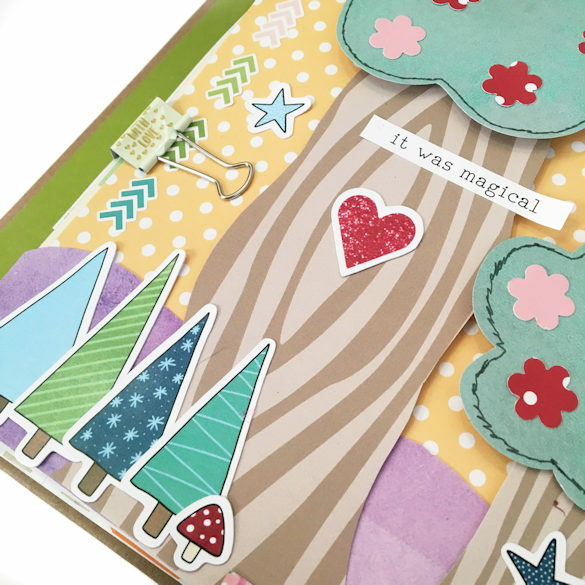 One of the papers had a wood grain effect, so that inspired me to create trees. 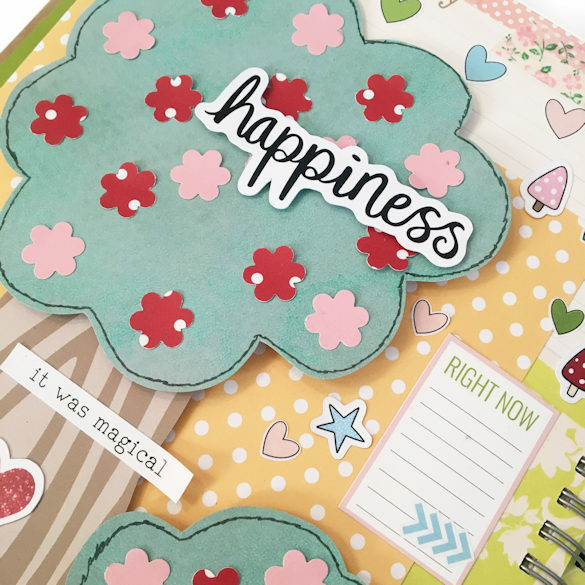 Using a flower punch, I created some decoration for the them, and added the word die cuts. To give them some dimension, I stuck them down with some foam tape. 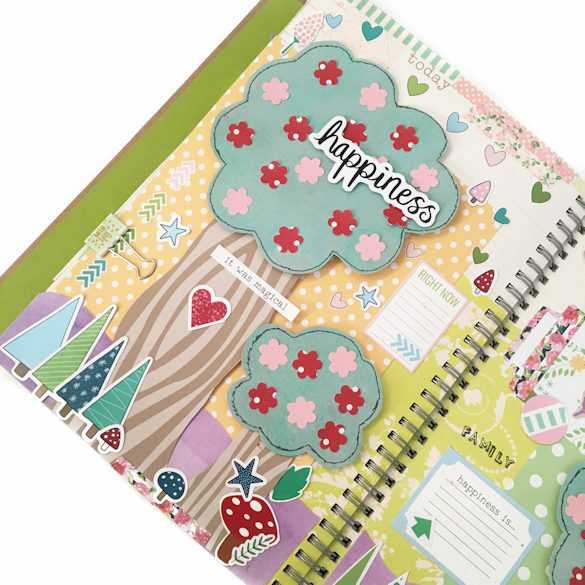 I fussy cut around the tree paper, and used the embellishments from the kit to decorate the pages, and add some journalling. 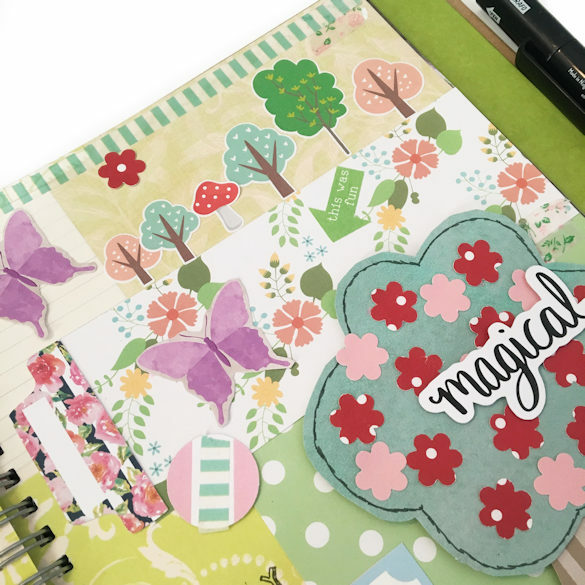 I layered paper from this kit, and a previous kit to create the background. I combined the die cuts, and stickers to create layers. 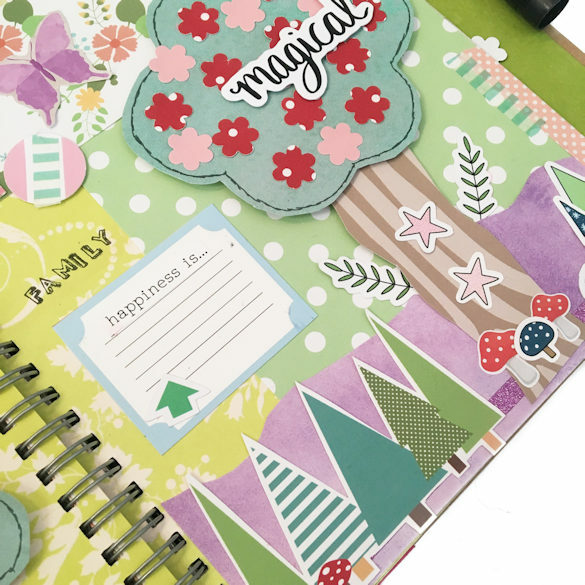 I hope this has inspired you to create your own pages in your journals. If you do, please share them in the Lollipop Box Facebook group here. 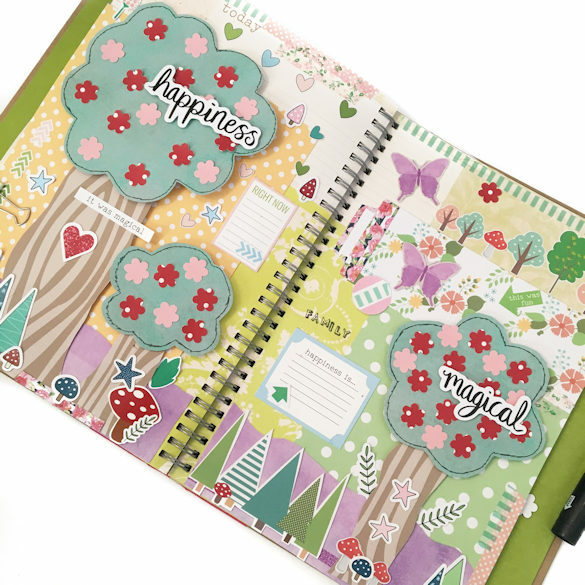 And you can still buy an ‘Enchanted Forest’ Kit here.